Willmar is hosting a hackfest next month. 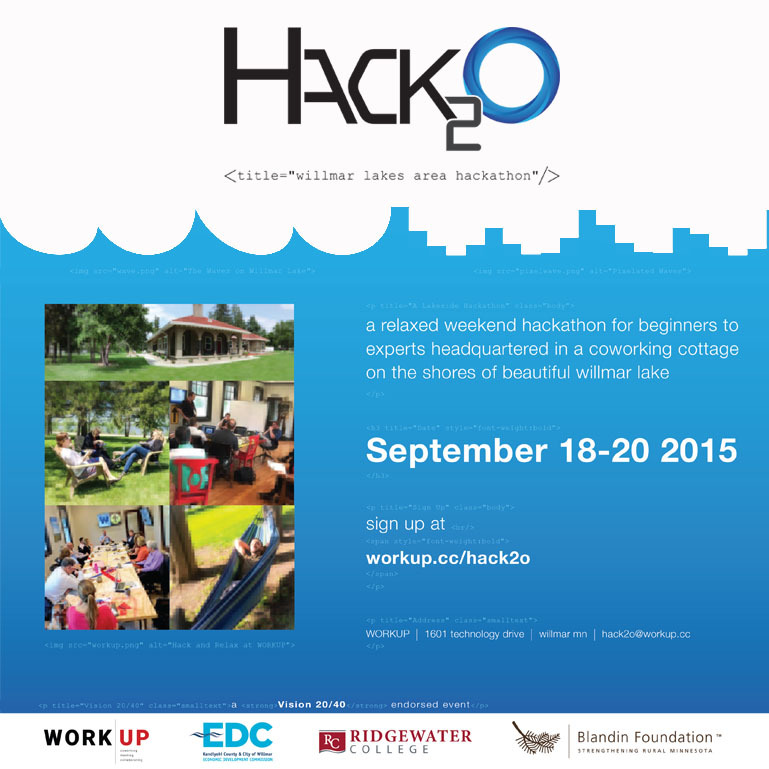 It’s a three-day event (Sept 18-20) for coders and non-coders alike. It will be hosted in the WORKUP co-working space located at MinnWest Technology Campus. The setting is beautiful. The opportunities are numerous. I have attended a few hackfests. If you’re a coder (or wannabe coder) in the area, you should definitely think about going. It will be a chance to meet colleagues and maybe prospective employers. BUT the event isn’t just for coders. If you have an idea that would harness technology for a civic good, this is a good place for you too. And in my experience all talents are welcome – folks who are good thinkers, writers, project managers. You are welcome to come to the event with a preconceived idea (or problem) and/or a team. You are welcome to come even if you’re not really sure what in the heck you’re signing up for – and every position in between.